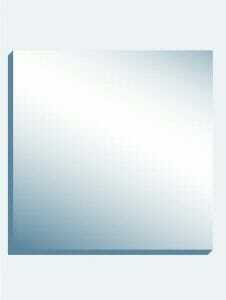 High Impact Polystyrene (HIPS) tile with mirror film Class B Fire Rated only if applied over sheet rock Easy to cut. Imported from Europe. MOQ – SOLD IN CARTONS OF 8 & NO LESS THAN 32 CARTONS. 4″ x 4″ samples available! All Orders are Imported & Shipped by Pallet Sea Cargo, estimated delivery time 4 weeks. 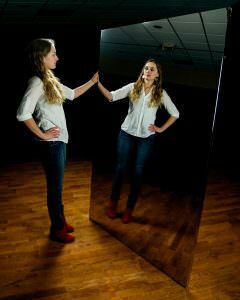 SKU: SKU001061 Category: GLASSLESS MIRRORS. 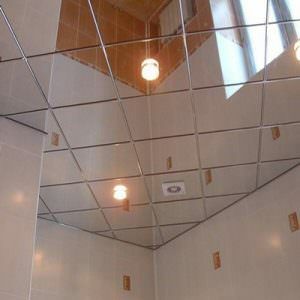 PLEASE NOTE: Mirror Ceiling Tiles are made of High Impact Polystyrene (HIPS). We carry 1mm thick mirror ceiling tiles that have been designed to have any generic ceiling tile installed on top to provide rigidity. 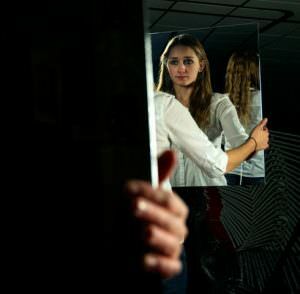 However, many of our customers find that mirror tiles are rigid enough without re-enforcement. The tiles can be cut with regular utility knife by scoring on the face side and snapping. We also offer the option of 2mm ceiling tiles that do not require attachment to any additional tiles, but there is a minimum order of 1100 sf. Contact us fore more information or if you are interested in receiving samples. Can be cut with standard utility knife. Just score & snap. 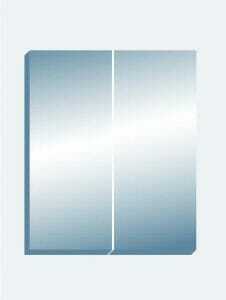 Standard Silver Mirror Ceiling Tiles High-Impact Polystyrene (HIPS) made in Austria.